This home was one of the first departures from standard design conceptualised by Quinton. 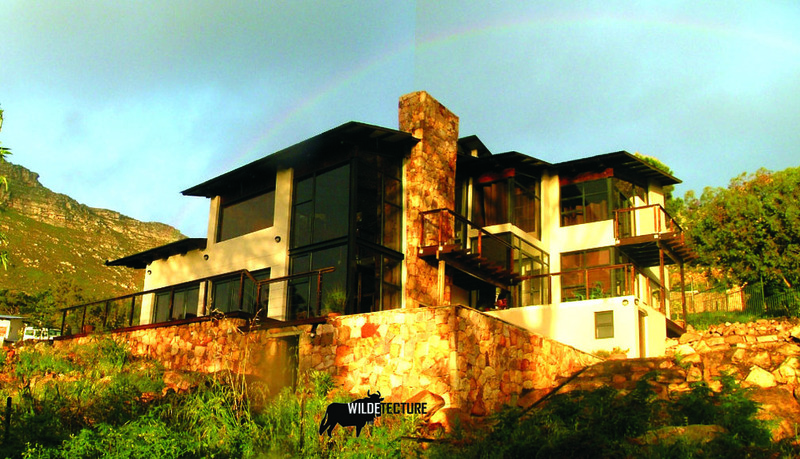 A strong client lead resulted in a home that worked seamlessly on the challenging slopes of the Hout Bay mountain. The home's roof had what is called "juxtaposition drama" - a theme that's been carried over in several designs since this creation. 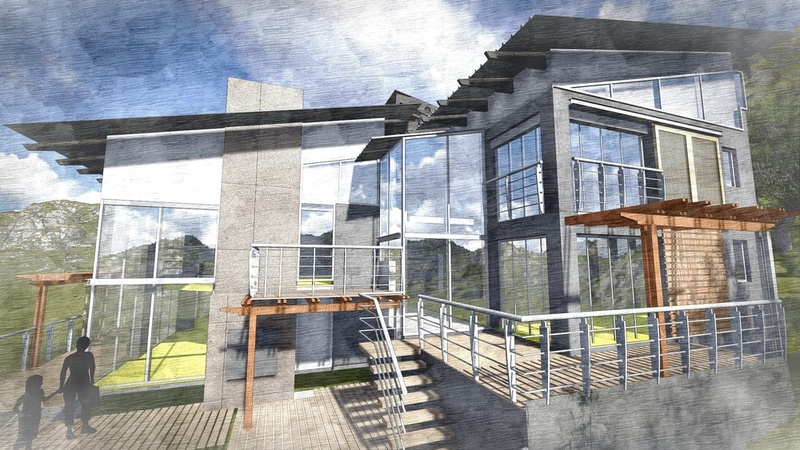 This house has been conceptually taken further with Wildetecture style eagle trusses, a unique feature that incorporates the concept of sculpture into the architectural structure.